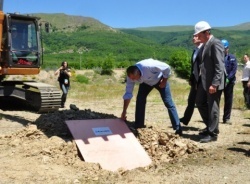 An investment package of nearly EUR 150 M into the Bulgarian economy is being considered by leading copper producer Aurubis, the company’s CEO Tim Kurt has said. At a press conference, Kurt and the company’s Secretary General Georgi Nikolov warned of a number of challenges that Bulgaria’s business environment poses to businesses, such as the administrative burden. Electricity prices for industrial consumers are also of concern, with the company paying EUR 50 per MWh in Bulgaria compared to around EUR 40 competitors give for the same amount in Germany, France and Spain. Aurubis has also called for long-term contracts for electricity supply (instead of the current ones spanning just a year) to boost business planning. In 2016, Europe’s biggest copper producer is to set aside some EUR 44-50 M to renovate its plant in the town of Pirdop in Western Bulgaria. Aurubis is also the most intensive user of Bulgarian ports and freight transport with over 2 million tonnes of cargo every year.